-Juice your fresh lemons using a citrus juicer - this will maximize your lemon juice yield and make your citrus juicing life easier. Add lemon juice to a pitcher. -If you're working with activated charcoal that comes in capsules, like this - gently squeeze and twist the capsule to open it, and carefully pour all of the contents into your pitcher with the L juice. Activated charcoal can be messy, so be mindful! -Enjoy on an empty stomach, 1-hour before a meal or before bed. You will have to stir the mixture again as the charcoal likes to settle at the top/bottom. -I like to prepare this in a 1L mason jar, I adjust the water accordingly so that everything fits, to prepare I simple add my ingredients, screw on the lid - shake, shake, shake and refrigerate. -Activated charcoal is designed to detox - symptoms include, but are not limited to: headaches, nausea, foggy brain, skin breakouts, irritability and low energy. With any new regimen, start slow and listen to your body! These symptoms will pass and then you may experience increased energy, clear skin, decreased bloating, better sleep, positive vibes and more. -You can enjoy this for several days as a cleanse, or you can prepare as needed. See more on a cleanse using this Dark Arts Elixir, here. WHO SHOULDN'T USE ACTIVATED CHARCOAL? Do not use activated charcoal if you are pregnant or breastfeeding. Consult with your practitioner if you are taking any other medications before consuming. 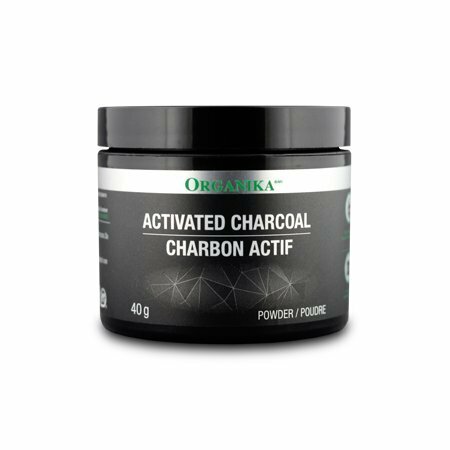 Activated charcoal is a powerful detoxifier and is not selective on what it flushes out. Using activated charcoal may decrease the effectiveness of your medications. Always take activated charcoal on an empty stomach, away from food or other supplements as it can interfere with nutrient absorption. Drink and cleanse responsibly & yes, activated charcoal may change the colour of your #2's.